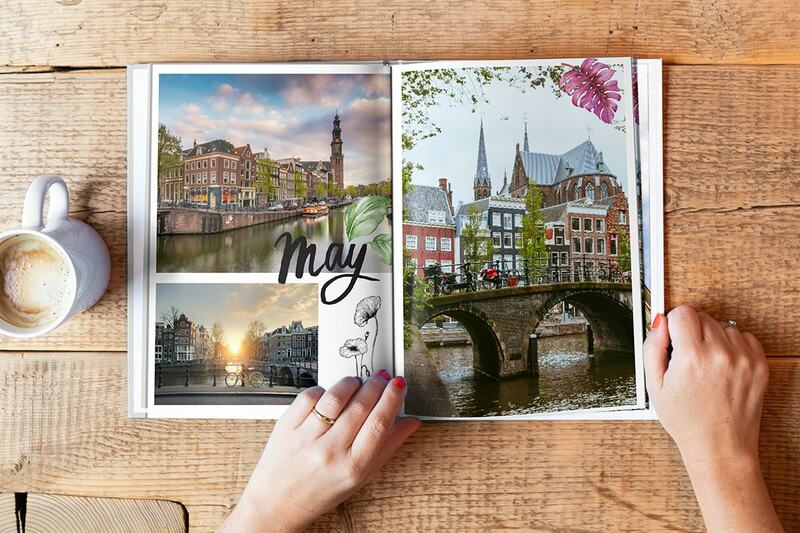 Relive your travels and discover our tips for creating your best city trip photo book ever. City breaks are often more jam packed than holidays because you end up squeezing all your sightseeing into one weekend. That’s why when you’re home you’ll have a lot of amazing photos on your camera roll. But don’t leave them sitting there. 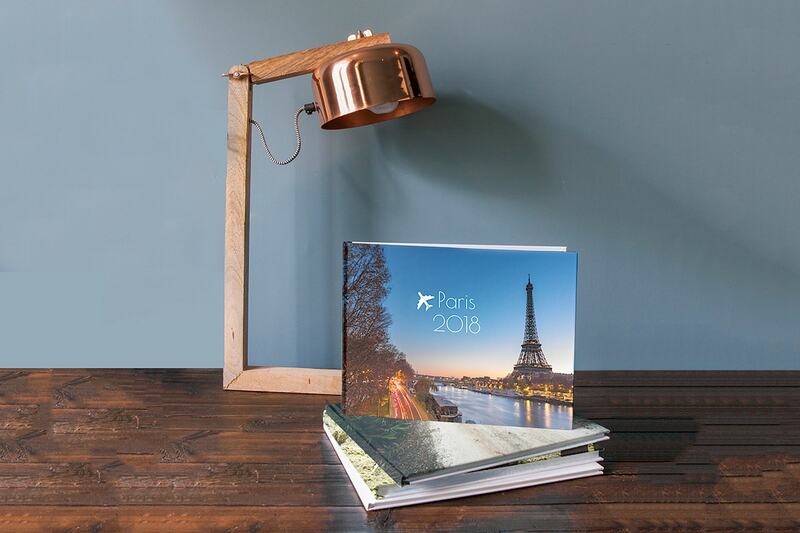 Create a photo book of all your favourite moments from your weekend away with our expert tips. 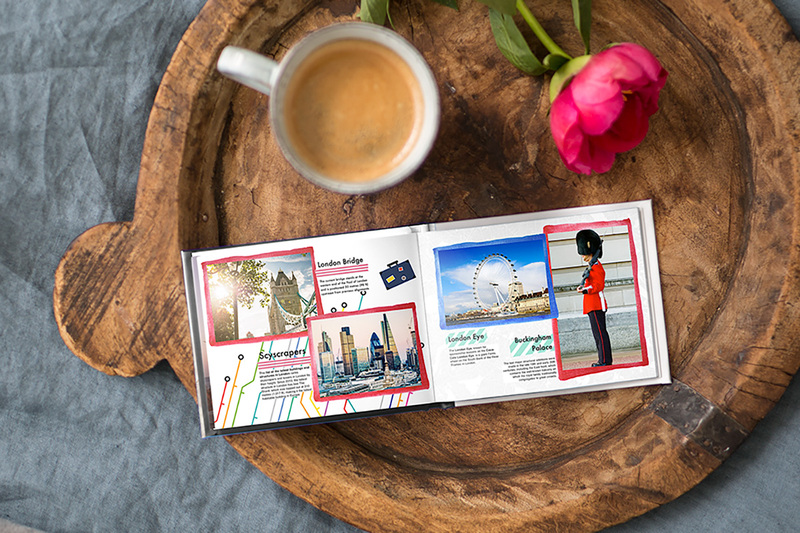 From the design of the photo book to some extras that will make it even better, we’ve got 15 ideas for creating the best city trip photo book ever. Make sure your photo books look their best when displayed in your home by putting the title on the spine on your photo book. We like using the name of the city and the year you visited. 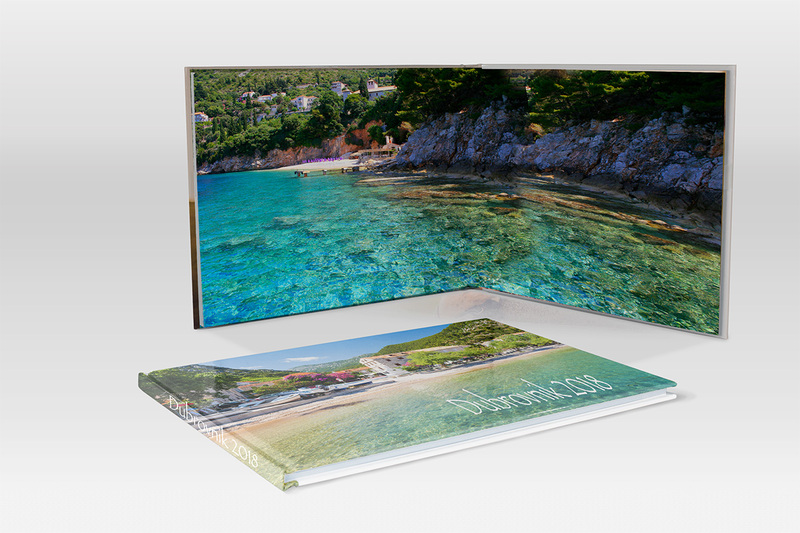 For example use Dubrovnik 2018 and then every photo book you create after that can follow the same naming. 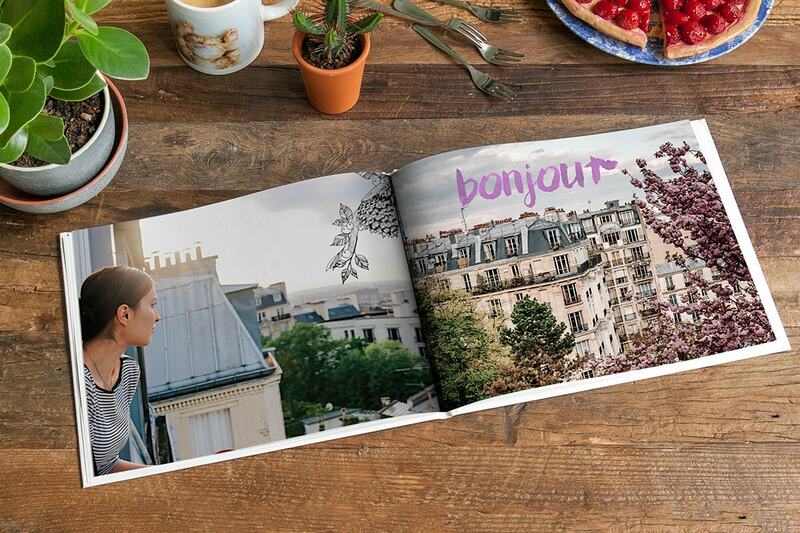 It turns your photo books into a coherent series. 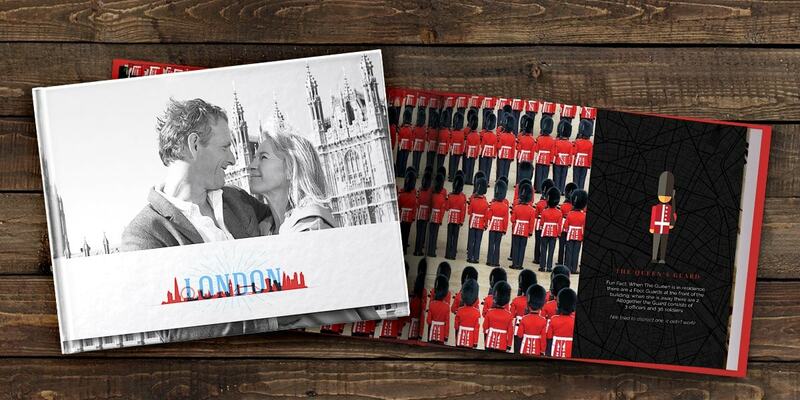 Include our city-inspired clip art, frames and backgrounds in your photo book. We have specific clip art for London, Paris and Rome but get creative with other cities. For example for Amsterdam you can add some bikes, for Naples make use of the pizza and for Berlin add the German flag. 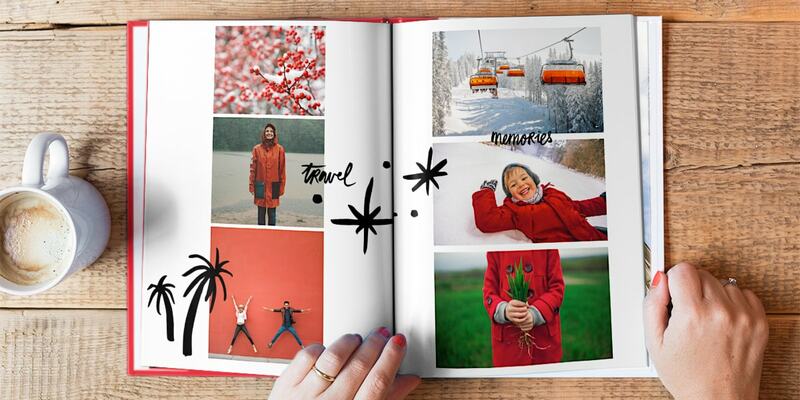 Try ordering your photos by colour in your photo book. You might see themes emerge over your city break like red post boxes, telephone boxes and buses in London or blue sea, blue sky and blue beach umbrellas in Nice. 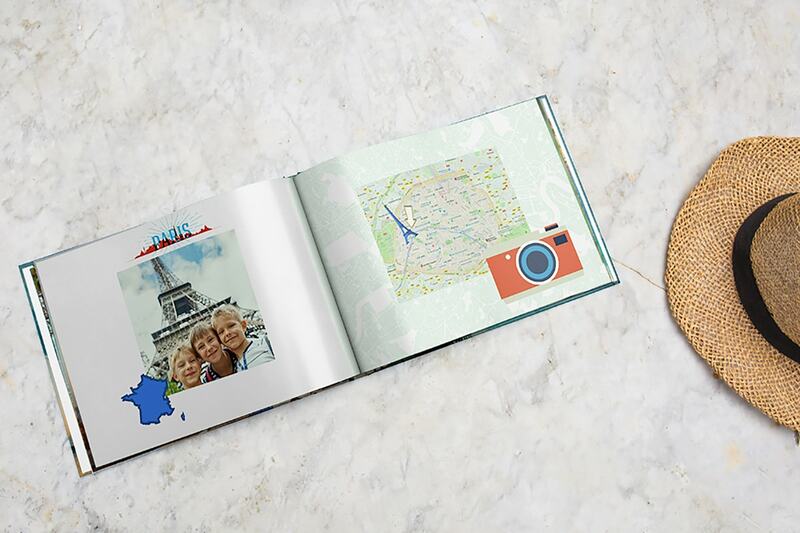 You can pull a location straight from Google Maps into your photo book. It’s a great way to show a journey or simply pinpoint where exactly you went. Take photos at the city’s most famous attractions and then include a fact about that place next to your photo. For example ‘did you know the Eifel Tower is the most visited paid attraction in the world?’ Next to a photo of the iconic tower. 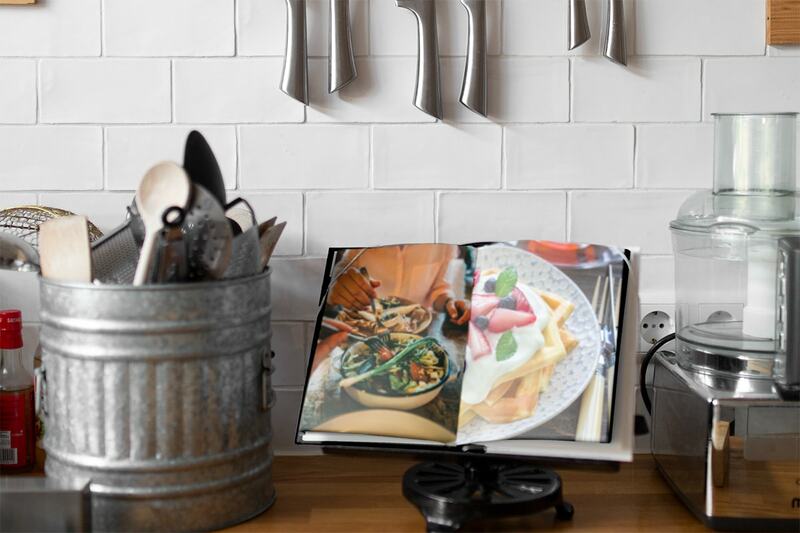 Dedicate a double page spread to the local culinary delights, adding photos of typical dishes and writing a short description of what you did and didn’t like. This will act as a reminder if you go back or suggestions for friends and family. Read our food photography blog for some tips on getting the best shots. Add a background that relates to the city you’ve visited. This could be a map of the place you went or an image that reminds you of the city. For London for example you could use the Union Jack flag as your background. 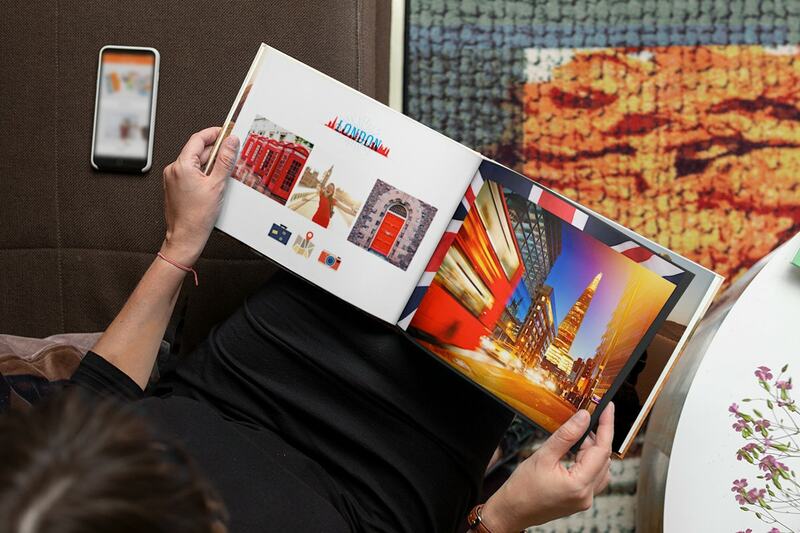 Use a skyline photo of the city you visit as the cover photo for your photo book. Read our urban photography tips blog for some ideas. Some cities have strangle folklore and tales surrounding certain areas so if you learn of any when you’re there, include them in your photo book. Try going on a guided ghost walk to get under the city’s skin and tell its story. 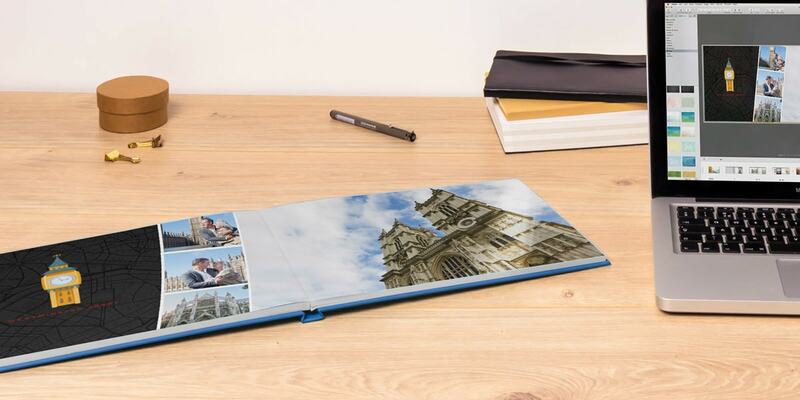 Layflat pages will allow you to print your photos across a double page spread without interruption. Perfect for the amazing landscape shot that you take. Read our travel photography tips to get some ideas on how to make your photos better than ever. 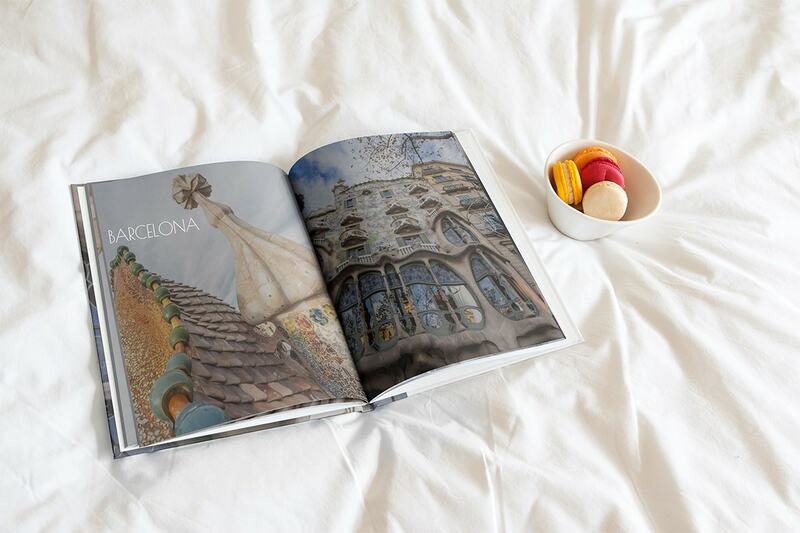 Your family and friends will love seeing your recommendations in a city guide style photo book. Put the addresses of favourite cafes and restaurants and some insider tips like the cost of transport or a meal. Then you can pass it on to people when they visit. Take a look at our Porto city guide for some more inspiration. ‘Bonjour!’ ‘La Dolce Vita’ ‘Top of the morning to ya’. These are just a few well known phrases from some of the world’s best-loved cities. 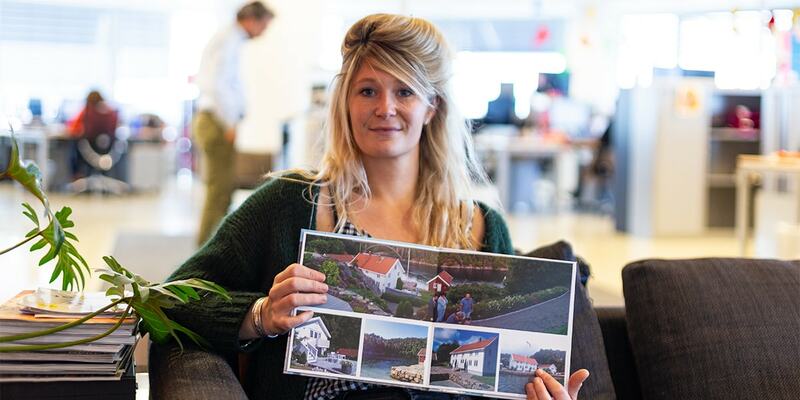 Include them in your photo book as a reminder of the local language. 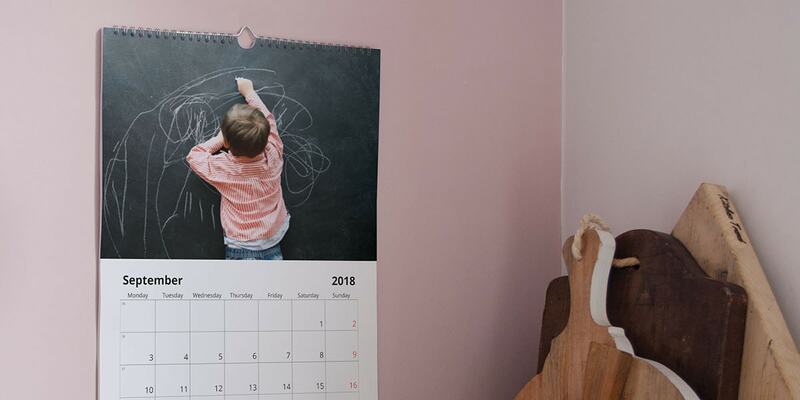 Now you’ve got the tips, it’s time to start creating your own. 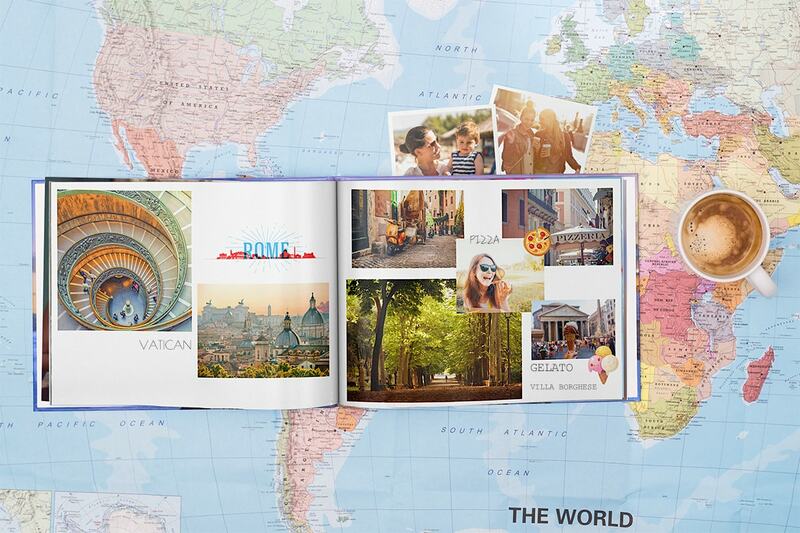 So pick your photo book and get started.